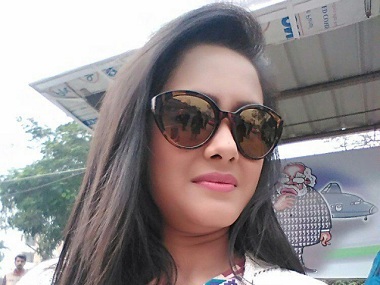 Bidisha Bezbaruah, A 27-year-old advertising professional, who was also a small-time actor and singer and featured in a Bihu song in the Bollywood movie JAGGA JASOOS, was found hanging from a ceiling fan in her newly rented apartment in Gurgaon’s Sector 43 on Monday evening, said Gurgaon Police Tuesday. As per a complaint filed by her family, Bezbaruah was in an unhappy marriage. Bezbaruah had told her friends and family about her husband’s alleged extra-marital affair and the eventual disturbance it brought into her family life. Bezbaruah mentioned to her parents that she wished to divorce her husband, who she had been married to for about 14 months. The victim’s father alleged that marital discord was the cause of her death. The victim’s father has alleged that ties between his daughter, Bidisha Bezbaruah, and her husband, Nisheeth Jha, were strained. The police have booked Bezbaruah’s husband under abetment to suicide and he has also been asked to cooperate in the investigation, as per the same Tribune India report. Previous Posts Game of Thrones is Back and ON FIRE! Next Posts 1st National Sales Congress 2017 to be held in Karachi- Grab your tickets NOW.